I really wish I’d been the one doing this beauty shopping in Hong Kong – when I went to Hong Kong a couple of years ago, Mr BBB had to keep pulling me out of Sasa otherwise that’s where I would have spent my entire holiday. In fact, I think I visited just about every Sasa there was! This time, its my friend Tamara, who has been there on her honeymoon (I’ve a feeling that Mr T spent a lot of his time pulling her out of Sasa!) and she’s picked me up a few of the beauty oddities that I love so much. 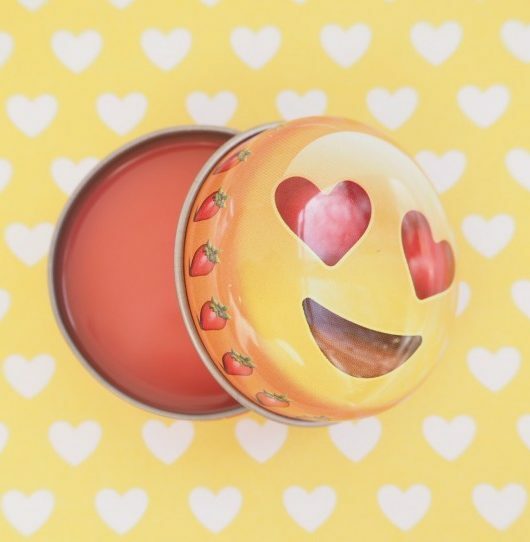 I’ll start off with the snail lip balm – it might very well be strawberry flavoured but I cannot bear the idea of snail on my lips, in whatever form. 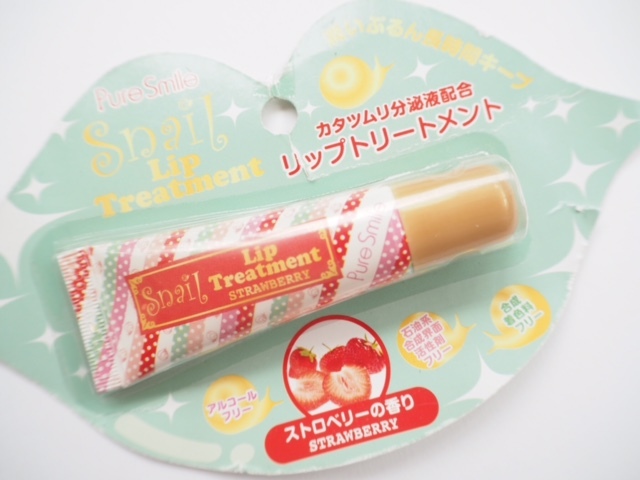 Snail + strawberry is just making me shudder. And I will put money on it that it’s never been anywhere near a fresh strawberry as indicated on the packing! 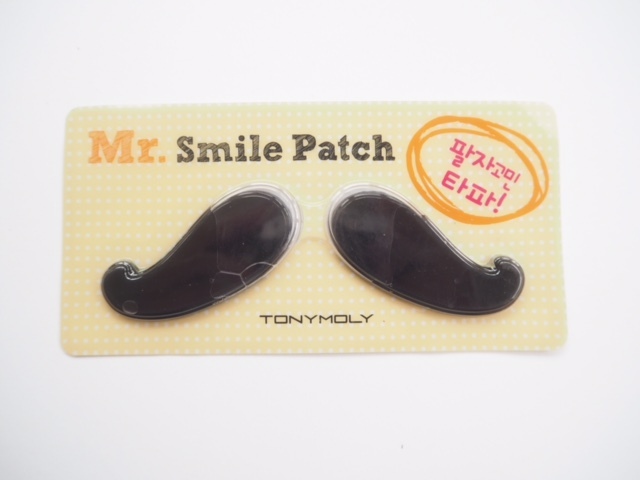 The Tony Moly Smile Patch is a lot like the Tony Moly lip mask in that it’s a floppy, wet, solid gel consistency, presumably to infuse your upper lip with hydration and thus reduce lines and creases. Either way, I’m not sure how Mr BBB is going to feel if he sees me in this. 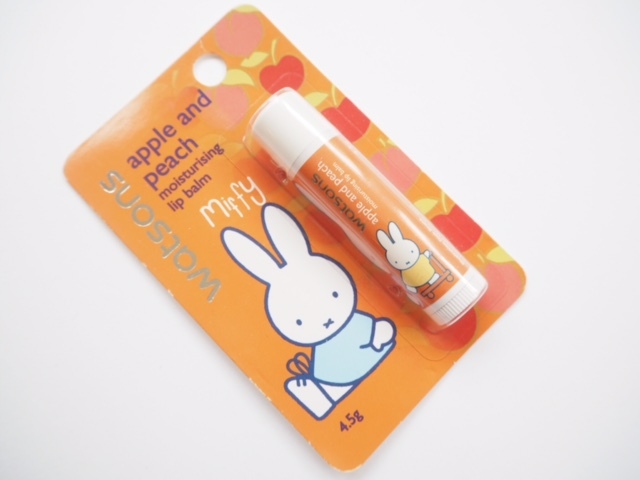 I love anything cute so when Tam sent me a picture of the Miffy Lip Balm, I was begging her to get me one! Now I have it, I don’t want to use it because it’s too sweet and pretty. Meet Happy Duck Eau de Toilette! 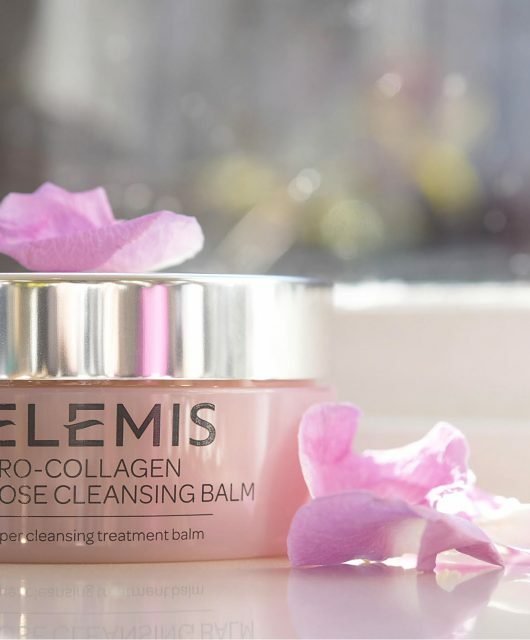 It doesn’t even smell horrible, either – just quite a sweet and fruity floral fragrance. It’s going to sit alongside my Smurfume! Finally, this! I have no idea what it’s for really – other than you can cut the end how you want. 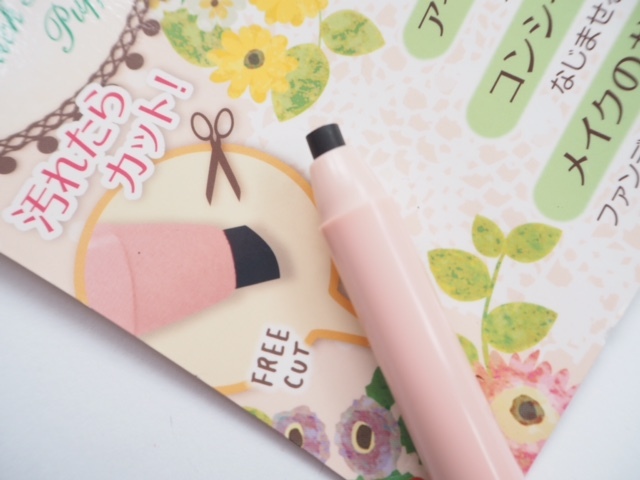 It’s called a Puff Pen, but the core is more like the smudging end of an eye pencil and it’s rather wobbly in the pen, so really I don’t know what I would use this for. I am delighted to have it though, even as a prime example of something that looks intriguing but has no real use or purpose! 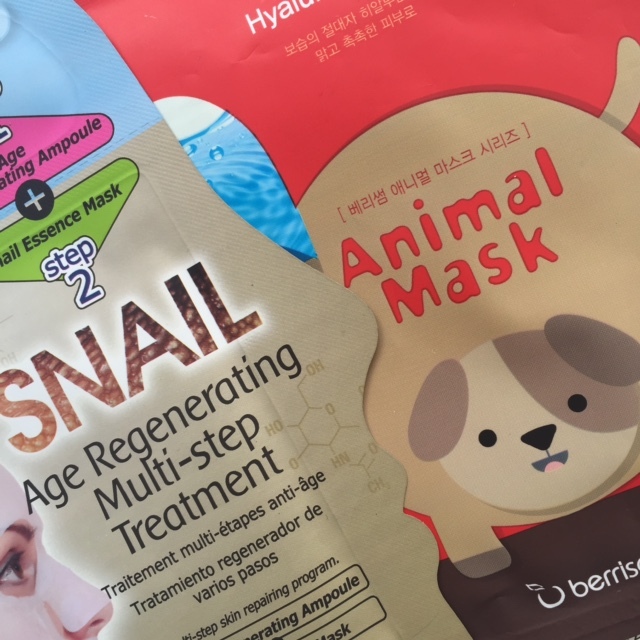 Oh, and the picture at the top – I know that the Snail Mask has snail slime in it, but please, please don’t tell me the animal mask has… er.. animal?! 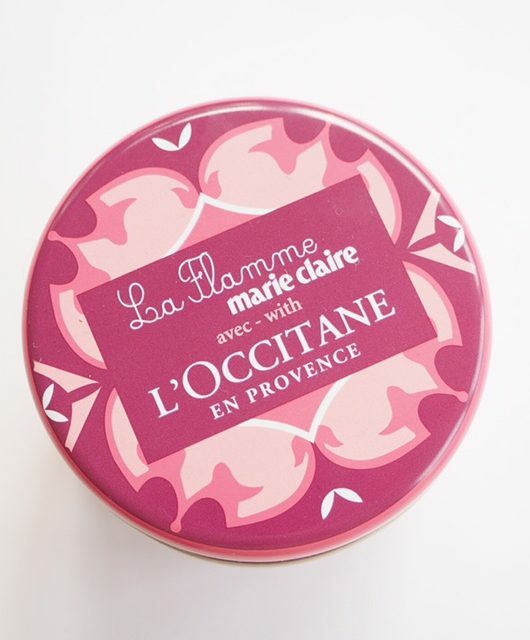 Have you had any beauty oddities from abroad (or here)? I’d love to know! I think it’s actually a blending sponge.. but now I’ve pulled the sponge so far out of the pen, it won’t go back in! But thank you.. it’s been consigned to the bin! Haha, whoops! >.> Been there, done that. 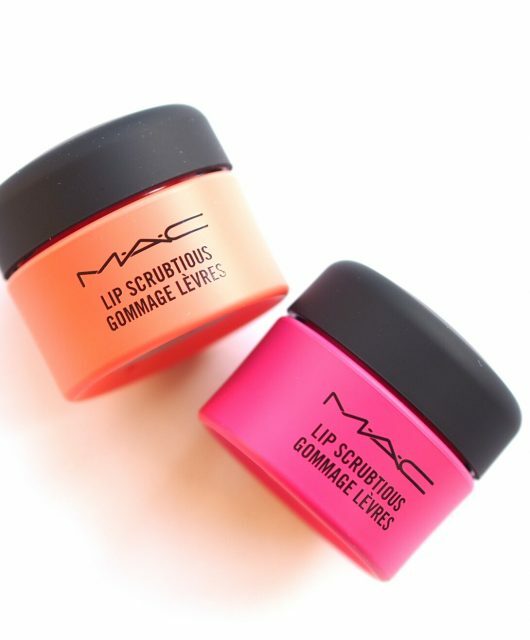 I am obsessed with all the packaging it is so cute. I love the duck fragrance just for the novelty value and the face masks. Jane is the animal mask a sheet mask? Does it have a cartoon face on it :)? Maybe the animal mask is one of those peel off masks in the shape of an animal. Don’t be afraid of the animal mask – it’s just a new trend to paint usual sheet masks as a face of a cute panda, bunny, kitty, etc… simple moisturizer, no animal fat or worse..
I’m really looking forward to seeing what I look like with a panda face! I had a similar experience in Sasa a couple of years ago,,,bought so many cute things because of the packaging! I did get some facial masques which were relaxing to use!